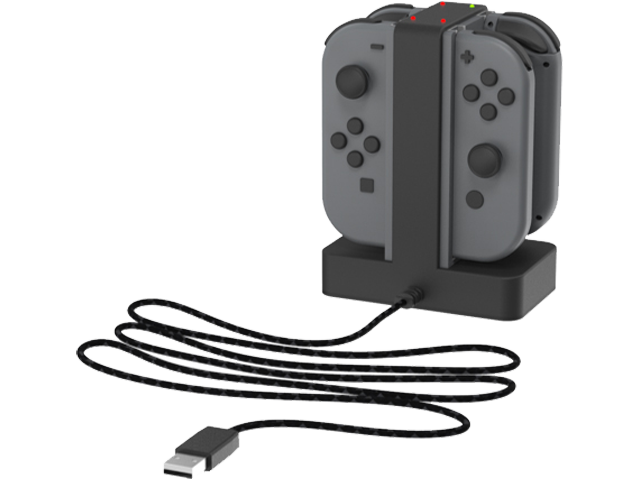 The Joy-Con™ Charging Dock is the easiest solution for charging your Nintendo Switch™ Joy-Con Controllers. Charge 4 Joy-Con Controllers at a time for multiple players, or keep an extra pair charged for single players to switch out. Simply slide the Joy-Con Controllers down and wait until each charge LED turns green!